Needle exchanges are a proven way to prevent disease and reduce deaths. That’s the message Benton-Franklin Health District officials are trying to get out to the community. There are so many misconceptions about needle exchange programs that the district has taken the unusual step of issuing a position paper in support of them. It’s the first public stance of its kind on any health issue since Dr. Amy Person became the health officer for the two counties in fall 2011. The Tri-Cities has had a needle exchange site for almost a year until it was evicted by Franklin County commissioners from a public building in February. 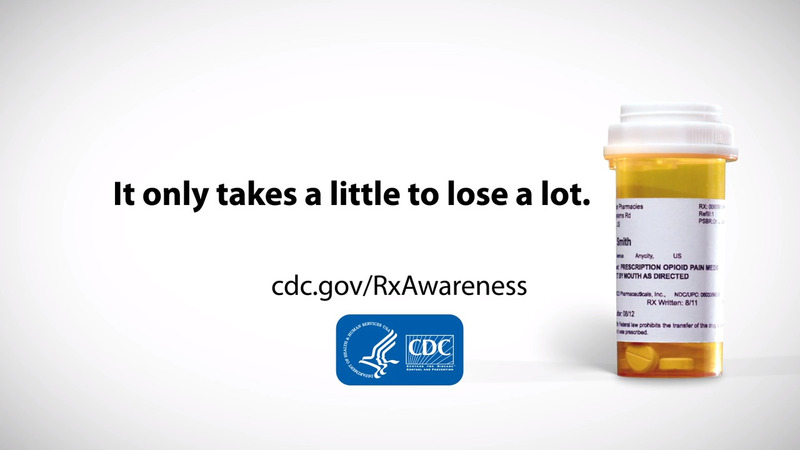 The Centers for Disease Control's RX Awareness campaign features real-life accounts from people recovering from opioid use disorder and from people who have lost loved ones to prescription opioid overdose. The nonprofit group operating it quickly partnered with local doctors who specialize in treating addiction to reopen the exchange in Kennewick, where neighboring businesses also were concerned about it. Despite where it is located, health district officials said they have a duty to support policies and programs proven to prevent disease and reduce deaths — including fighting misconceptions. “As in any disease outbreak, public health cannot sit on the sidelines, but must respond to protect the health of the community,” said the statement. Opioid overdoses in the two counties have tripled in 15 years, making it clear that the community needs a better approach to opioid use disorder, according to information released by the health district. Officials report 115 people died from opioid overdoses from 2013 to 2017. Needle exchanges, while just part of the solution to growing cases of opioid use, are effective, said health officials. The Centers for Disease Control and Prevention, Substance Abuse Mental Health Services Administration and American Society of Addiction Medicine are among the national agencies that recommend them. Two decades of research show that syringe support services prevent disease and do not increase intravenous drug use, said the district. In fact, people who use needle exchange programs are more likely to seek treatment for substance use, Person said. 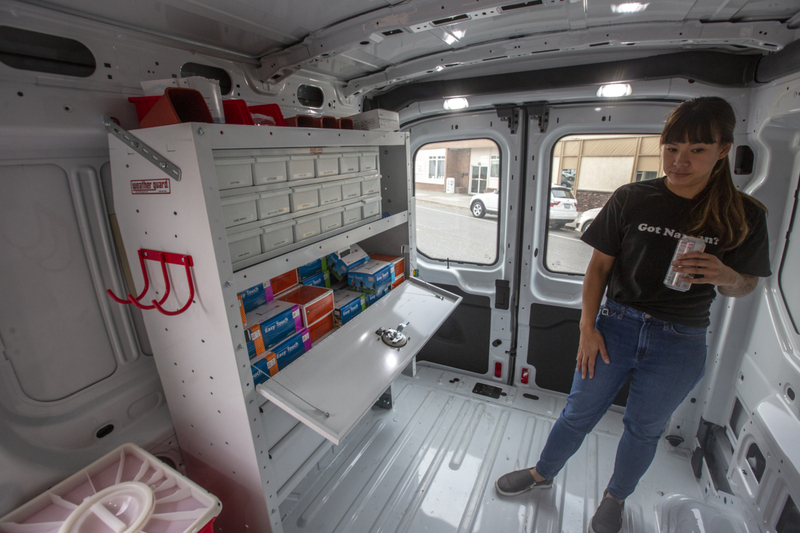 The district has wanted a needle exchange program for several years to improve public health, but did not have the money to start one, she said. Illicit drug use also puts people at risk for hepatitis C and for HIV, the virus that causes AIDS. The hospitalization costs for hepatitis C covered by Medicaid and Medicare in the two counties was nearly $4 million in 2016-17, according to the health district. The costs have doubled since 2014. New cases of HIV in the two counties have averaged about eight annually in recent years. The current needle exchange is part of a long-standing process to find a way to provide the service, Person said. It is run by Walla Walla-based Blue Mountain Heart to Heart, a nonprofit working to prevent HIV and hepatitis C infections, and is based with a private substance abuse disorder clinic, Ideal Options, that can immediately start treatment for those who want it. There seems to be some misconception that the clinic, open for a few hours each Friday on Vista Way, is a safe-injection site, Person said. That’s not true. People can exchange used needles for clean ones, and the clinic also passes out free opioid overdose reversal medicine, both to drug users and those who are worried about them. In the 10 months through early March when Blue Mountain ran a needle exchange in Pasco, it served more than 330 people, passed out 20,000 syringes a month and distributed an overdose reversal drug that was used 98 times to save lives. “Locally, the ratio of needles exchanged and returned has been a significant point of contention,” said the health district statement, with some people calling for a strict one-to-one exchange of used needles for new needles. The Washington state Department of Health recommends supplying needles based on need, rather than a strict exchange, as the most likely way to reduce syringe sharing that can spread disease. But still having an exchange of needles helps provide for safe disposal of used ones. One reason the needle exchange in Pasco was evicted is because Franklin County, its landlord, became concerned it was giving out packages of 10 clean needles rather than matching the number of used needles collected. Commissioners also worried the location was next to the WSU Extension office frequented by 4-H youth. The exchange moved to Vista Way in Kennewick, and Ideal Options, the clinic providing space for the needle exchange, has said it is looking to again move the program because businesses on Vista Way object to it there. The Benton Franklin Health District did not directly discuss the location issue. But it pointed out that those addicted to opioids may not fit drug user stereotypes. Up to 80 percent of people who use heroin or other injection drugs trace their use to a prescription, Person said. Blue Mountain Heart to Heart has a syringe exchange program in Pasco. Opioids are prescribed for pain after surgery and injuries and also may be given for chronic pain, such as arthritis, despite serious risks, according to the CDC. “People who inject drugs have been characterized as either criminal or homeless,” said the health department. “The health district will continue to monitor and evaluate the outcomes of a syringe exchange program in the Tri-Cities so policy decisions can be based on data and not fear and supposition,” the health department said. It also will pursue other strategies to address opioid use disorder. Those strategies include raising awareness about stressful and traumatic childhood experiences to reduce risk factors that contribute to substance abuse. It is working within the local health care community to follow best practices for opioid prescription and to identify those at risk for opioid use disorder. It also is working with other local agencies and officials, including law enforcement, to improve access to drug treatment and reduce the stigma of addiction.